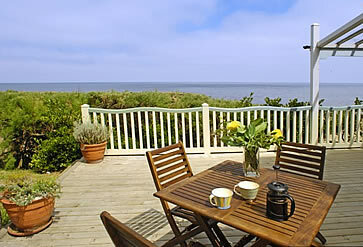 It has a wonderfully homey feel and is perfect for groups of friends or families seeking a comfortable weekend retreat. 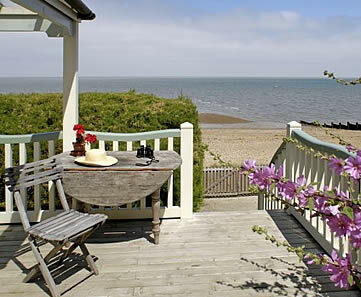 It is also desired by creative folk: artists, film producers and writers, all seeking the perfect seaside muse. There's something so magical about the seaside whatever the weather; blustery and cold or sunny and blue-skied. There's a feeling you get ... the flicker of a happy memory that whisks you straight back to a childhood filled with ice-creams, fish and chips, sandcastles and boogie-boards. If you live a large part of your life in a big city, as I do, and you long for breaks away at the coast, it only takes a bit of happy surfing on the virtual ocean of the internet to turn daydreaming into packing and leaving! And so it was that eight girlfriends in desperate need of a break from London stood transfixed outside the Artist's Beach House in Whitstable on the Kentish Coast of England. For who could've predicted the extraordinary situation of this cool little clapboard house and its proximity to the sea? A few (semi) energetic bounds over the pebble beach and you'd be able to dip your toes right in the water. We drew in big gulping breaths of fresh air and marvelled at how alone we were, there being only one closed-up house next door and a few tiny summer beach huts laid out in colourful lines down the broadwalk. A lone walker strolled past accompanied by a lolloping Labrador dragging a bit of hairy seaweed. Like children unleashed we swept through the house and up the stairs, taking in the views from every room. Windows opened wide to the sound of shrieking gulls and the gentle slap of the water on the pebbles. Two double rooms on the second floor felt 'adult' being the largest with double-beds and white linen. The views were straight out to sea. Next to the bathroom was a comfortable-sized 'kiddie' bedroom with two single beds, which also had views over the front porch and the sea. Downstairs, just off the wide lounge, was a small double room (perfect for one) and a study next door with a comfortable (if slightly creaky) fold-out sleeper couch. The best room in the house was the kitchen ... huge but extremely warm and homey, with plenty of space for multiple cooks to get stuck into food preparation! A well-placed central island with oven and worktop was the perfect space for enthusiastic chopping, chatting, stirring and wine drinking. A big table in the open plan dining room sat eight and was constantly in use. Each and every sitting was made comfortable by the fact that not a single mat, glass, plate or utensil matched: exactly as we wished it. Dozens of flickering tea-lights and candles in jars, holders and pots lit up happy evenings where mad meals were eaten and silly games were played. There was also a sturdy stereo and enough space for a makeshift dance floor ... I'll say no more! In summer, double doors from the lounge can be opened out to the front deck of the house where an outdoor barbeque area can be set up. Deckchairs and sofas can also be stacked with cushions for comfy suntanning, reading and people-watching. The leg-stretching stroll along the boardwalk and all the way down to the point was an excellent way of walking off our hearty meals. There's also an amazing fish market a brisk ten-minute walk in the other direction, towards town, where you can pick up oysters or your choice of freshly caught fish for dinner. Just next to the fish market is the harbour farmers' market with all sorts of foodie and crafty goodies � nice for poking around before a well-earned beer at any one of the great little pubs in town. Setting The house sits on a private walkway overlooking Tankerton's pebble beach. Beautiful views far out to sea and down the beach on both sides. Why you'll love it This casually cool, yet totally unpretentious cottage is unlike any other by sheer virtue of its situation, on the beach and a few metres from the sea. 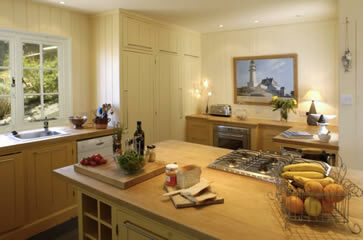 It has a wonderfully homey feel and is perfect for groups of friends or families seeking a comfortable weekend retreat. It is also desired by creative folk: artists, film producers and writers, all seeking the perfect seaside muse. Good to know With trains going from London Bridge and Victoria, it's close enough to London that you can stay over on a Sunday night and still get back in time to work on a Monday morning! It's also a wonderfully solitary spot in autumn and winter when all the little beach huts are shuttered ... and there's only one other house in the area. A few minutes away is the harbour and fish market and town is also only just down the drag. Wow factor Being right on the beach and hearing the waves crashing when you're warm inside and under a cosy duvet. Room for improvement As the place sleeps 8 people, it could do with another bathroom - there is only one with a combined bath/shower and toilet although there is another separate tiny toilet room downstairs next to the kitchen. 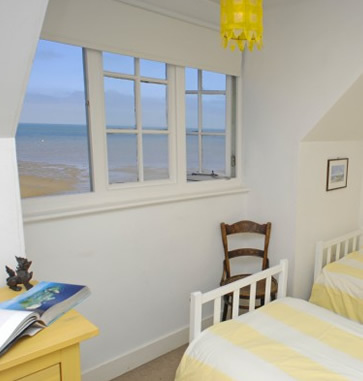 Rates Off-peak / winter rates start at £1,250.00 Mon � Fri (4 nights) and the same for a long weekend (3 nights). Hi, I am travelling to the UK next month. Is the Artists Beach House available in the last week? 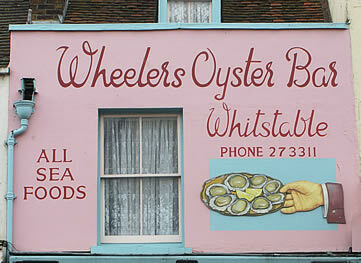 A more in depth look into Whitstable's gastronomic offerings reveals a seaside town with quite a reputation for understated yet world-class cuisine. 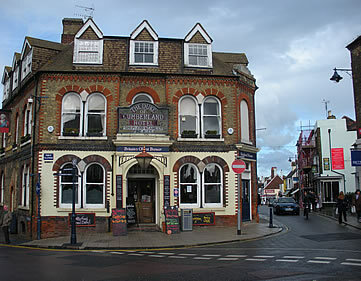 Two popular hotspots, Wheeler's and The Sportsman, reached The Times' Top 100 Restaurants in the UK for 2010. Wheeler's is a tiny restaurant dating back over 150 years, seating only about 14 people and owned by ex-Hyde Park Hotel chef Mark Stubbs and Delia Fitt. Rumour has it that Marco Pierre White has recently asked to buy the business, being the owner of Wheeler's in St James's, but was turned down! 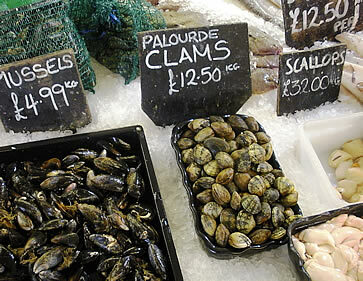 It is most famous for its oysters and anything crab, lobster, scallop or fish-like. Chances are high that a fisherman in wellies will wander past you into the kitchen with his catch - it's all so delightfully fresh and local. Then there's The Sportsman, nestled into the Seasalter marshes and one of the most popular gastropubs in the UK, firmly on the foodie map for over a decade. 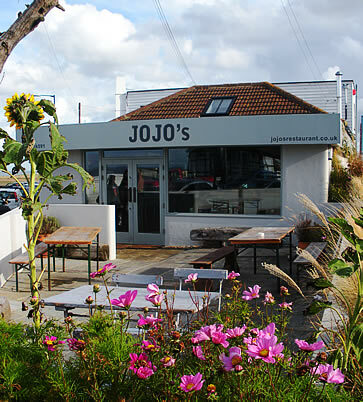 The first restaurant we tried, Jojo's, was one of those places you love on sight, as you know that someone has been clever and not greedy with it ... and therein lies its success. As you walk in there's a cosy deli section, where locals and tourists sit drinking coffees and sampling the incredible array of pastries, cakes and desserts that waft straight out of the oven and into the glass displays. You have to move fast in here � blink and your poppy-seed cake slice will have been bagged, bought and bustled off down the road. Walking in further you'll find the restaurant, which is essentially a Tapas bar with an incredible array of tasty, Mediterranean titbits. There's a mouth-watering standard menu, bolstered by a specials board that changes daily. Tables are encouraged to order lots of different dishes to share. Obviously we went overboard, ordering most of the menu ... but left one minty-pea risotto ball on the plate just to show the kitchen who was boss. Jojo's is in The Michelin Guide and recently came 85th in the National Restaurant Awards, a list that features big names like The Fat Duck and The Ledbury. A must!